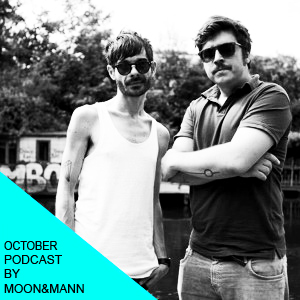 Portuñol duo Moon&Mann started out with disco some years ago and their love of vinyl and partying led them to develop the Geradehaus sound. Geradehaus is more than just an event series, it is a label in the making and a home for sounds diverse but which all share a same set of qualities: solidity, old-school flair and an appetite for showing off freshness. October’s podcast celebrates the two year anniversary of Geradehaus, and is to be enjoyed as the perfect warm-up for the birthday bash on Saturday 4th with Talaboman’s Berlin debut! More info about Geradehaus’ second birthday party on Resident Advisor, AXM3D, Local Suicide and Berlin Music TV and join the fun HERE. Book Moon&Mann for DJ sets worldwide or Geradehaus showcases HERE.